Yesterday, I attended the first day of the 2014 Southern Festival of Books (I didn't go today, due to a recurrence of kidney pain; might go tomorrow, but uncertain). 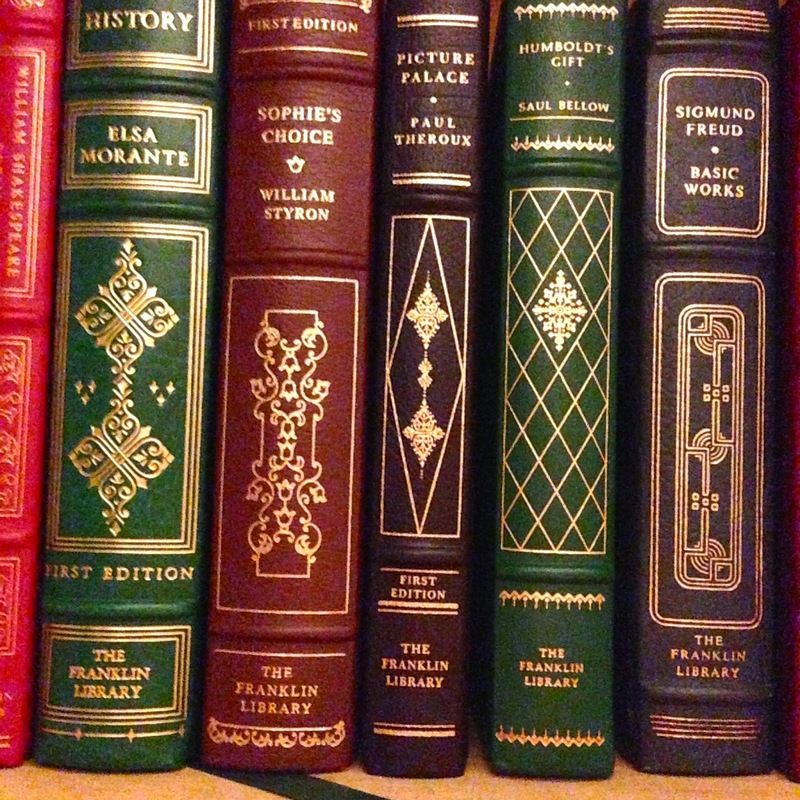 I first stopped by the McKay's booth, where I was pleasantly surprised to see three leatherbound Franklin Library editions on sale for $12 each. So I bought the Styron, Theroux, and Bellow books pictured above. Only thing bad about it was that some damnable fool put ex libris glue-on stickers on the moire interiors and it was difficult to remove them. 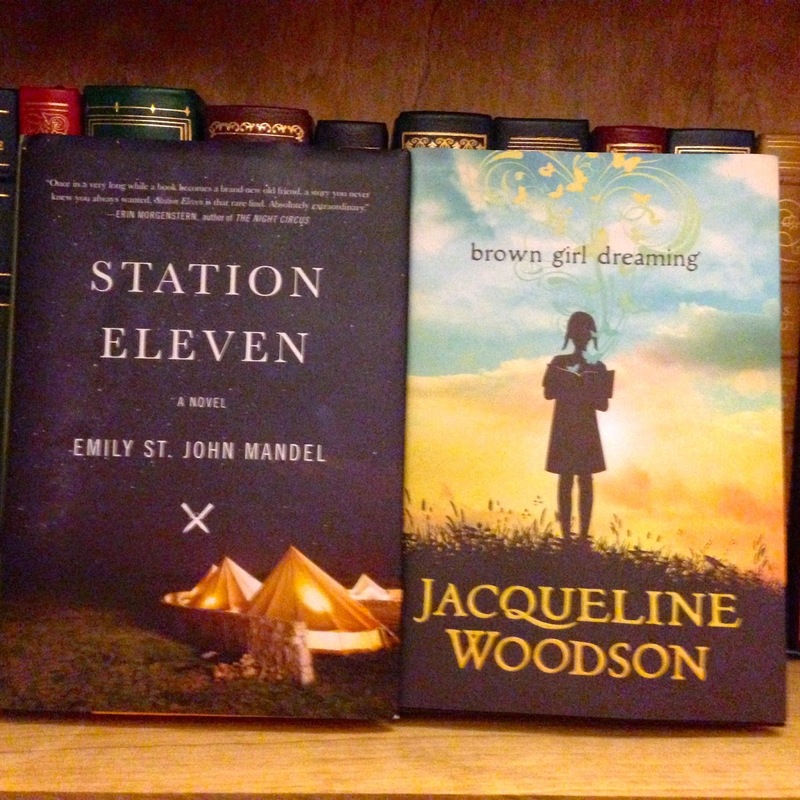 Two 2014 National Book Award-longlisted titles here, Emily St. John Mandel's Station Eleven (alas, no signed copy, as I missed today's session) and Jacqueline Woodson's Brown Girl Dreaming (if I feel better, I'll attend her 1-2 PM session). 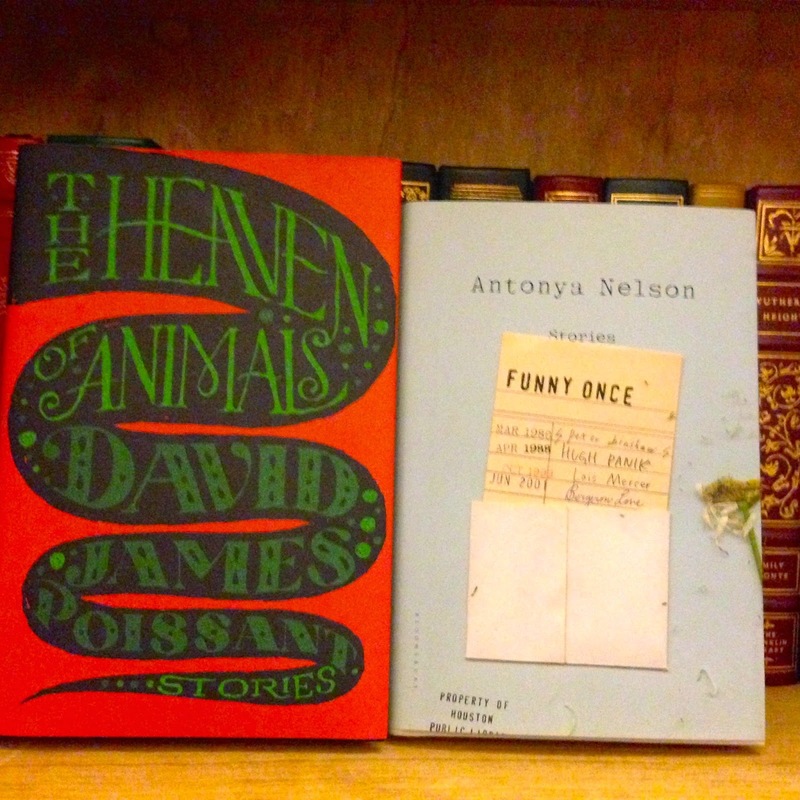 Here are two books that I did get signed: David James Poissant's The Heaven of Animals (already reviewed months ago when I bought the e-book edition; liked it enough to buy a hardcover edition in order to get it signed) and Antonya Nelson's Funny Once. So far, so good with her collection, as it has some wickedly sharp humor mixed in with some serious themes. Will review it in the near future. Now if I feel better, I'll go in the afternoon and get the Woodson signed, along with the three Lev Grossman novels from his Magicians trilogy that I've already read/reviewed.